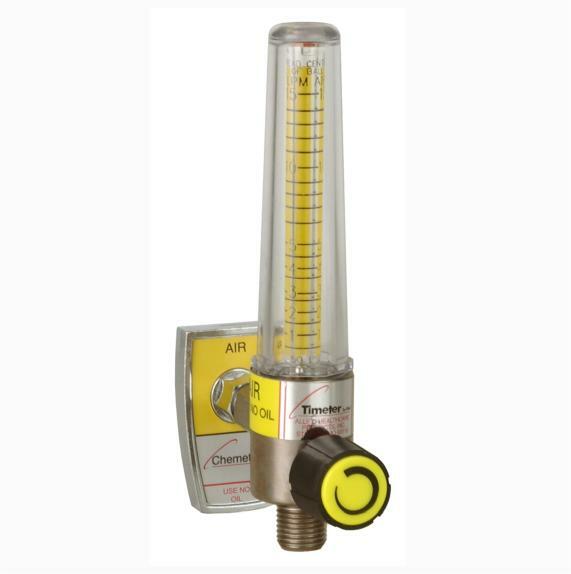 The Soft-Touch Timeter® Flowmeter is durable, long-lasting and easy to maintain. 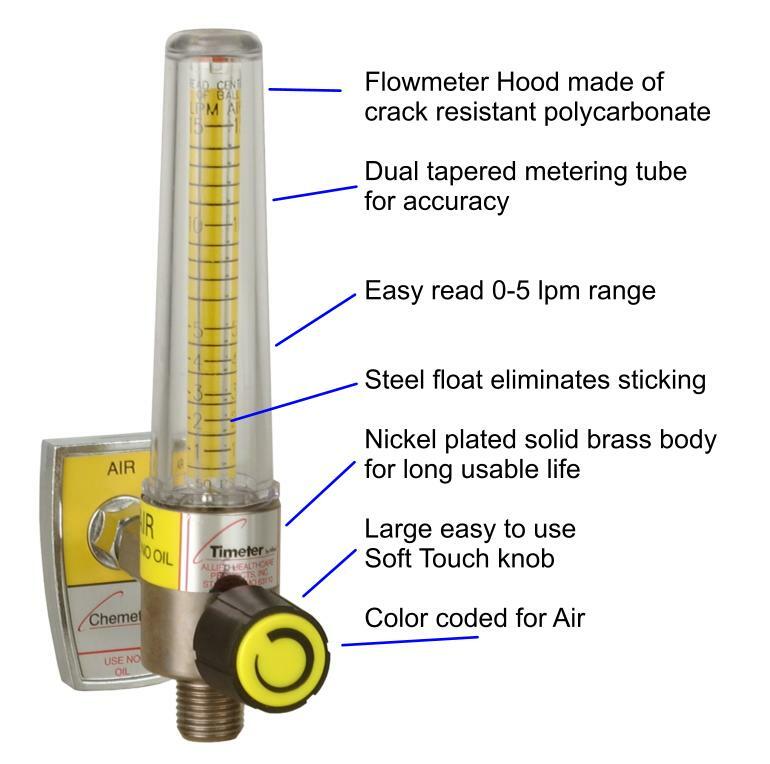 Timeter ® by Allied Flowmeters: Quality Plus Value. Manufactured by Allied Healthcare Products which has been involved in the manufacture of medical devices and components since the 1930s. Allied starting out as the medical department of National Cylinder Gas. This St. Louis based company enjoys a 50+ year heritage in serving the medical community. Allied has acquired a number of other companies over the years, as well as, developed many new innovative products used in medicine today. Allied is a leading supplier of oxygen, suction and emergency related products. Allied Healthcare Products makes and sells products through their own name and the following brands, Chemetron, Gomco, Timeter, B&F Medical, Schuco, Life Support Products.